Following the death of Rev. Conrad J. Wagner in November 1934, Rev. 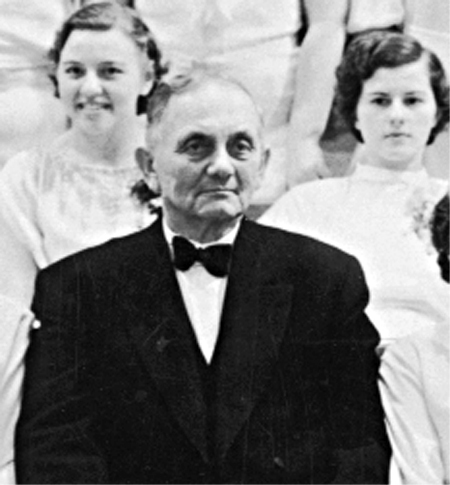 Arthur Richard Schmalle served as the interim pastor of the German Brethren Church for a five month period from November 1934 until March 1935 . Rev. Edward Graumann was called at that time to become the resident pastor. Rev. Schmalle was born June 5, 1882 in Sibley, Iowa. His parents, August and Louisa were born in Germany and were married in the United States in 1879. Rev. Schmalle was living in the Hillsboro area by 1920 and in the St. Johns area by 1930. Rev. Schmalle died in Tigard, Oregon in 1946.